Lazy summer days are fun for all the family – here’s how to make sure your little one stays safe, healthy and happy during the summer months…. Your baby’s skin is delicate and easily damaged. 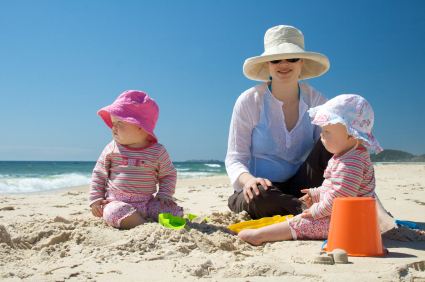 Here are some tips for sun-safety. If your little one has red, tender and hot skin, cool the skin with cold water and apply calamine lotion. If skin is blistering seek medical advice. With hot bedrooms and lighter evenings and mornings, your little one’s bedtime routine may get disrupted over the summer. Here are some tips. Summer is a great time for your little ones to get outside and have fun, but it’s also important to be aware of potential dangers. 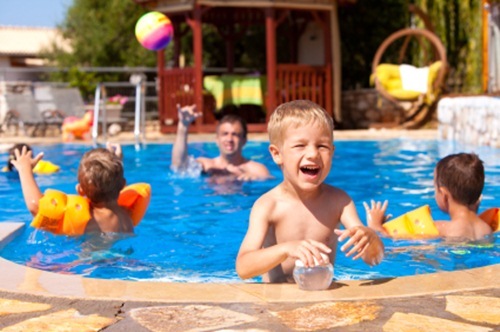 Here are some advice on keeping your little ones safe this summer. During the summer, babies and toddlers can overheat and are much more likely to become hydrated than adults. Registered child nutrition specialist offers advice. Choose Snacks Wisely : ‘Fruit and veg have a high-water content and help to keep little ones hydrated, Give them cherry tomatoes, cucumber, strawberries or melon to nibble on, or yogurt, sorbet or jelly as a hydrating pudding. Sitting in the car in the full glare of the sun can make even short trips uncomfortable for your little ones. Fortunately, The Outlook auto-shade, which covers the whole rear window, will help keep the interior cool and shady, so your little one can enjoy the view, or have a nap. It will even stay in place with the window open, letting in fresh air and protecting your child from bright sunshine.